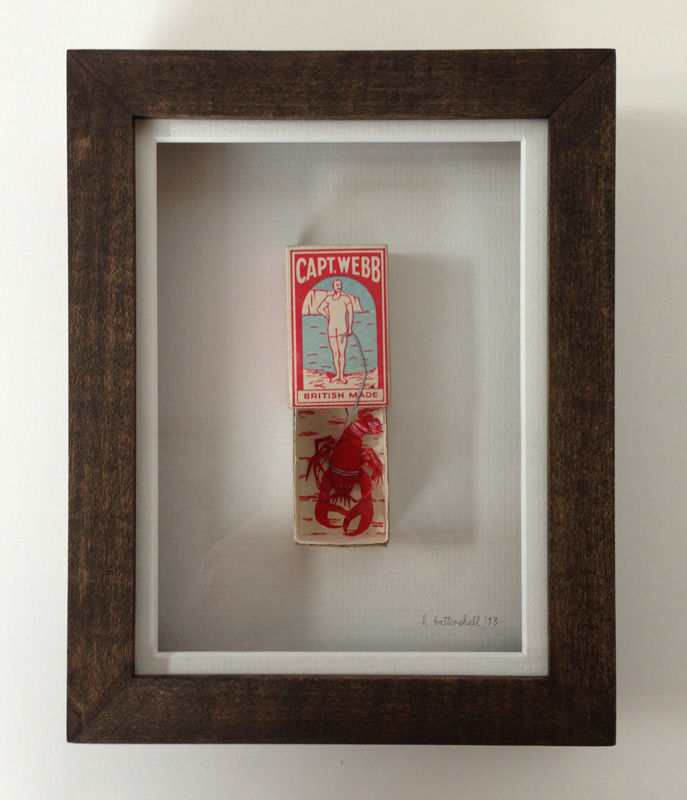 As well as using clocks, tins, buttons and other found objects I also use matchboxes in my pieces. Very often the original printed image on the matchbox will inform what I place within the box where the matches used to be. Usually the addition by me will alter or interact with the original image. The piece grew from my response to a matchbox I picked up at an antiques/flea market. 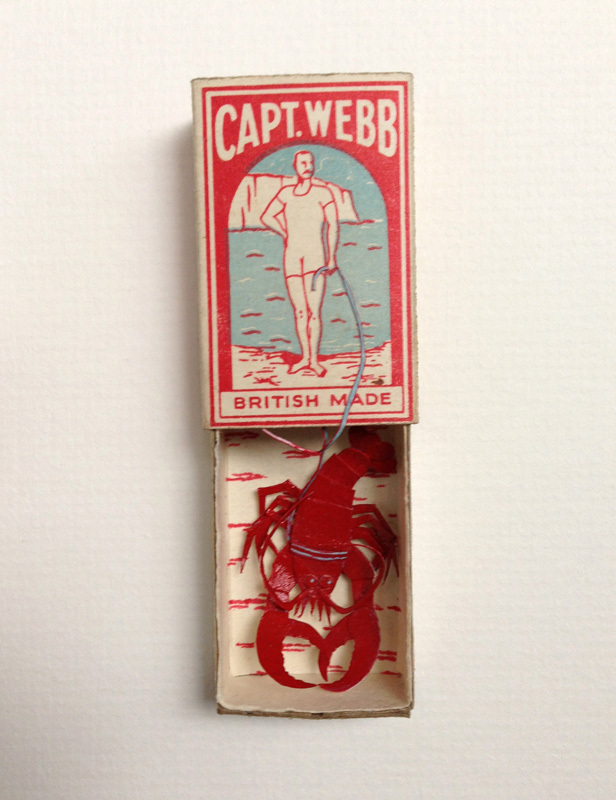 Somehow the image of Captain Webb – the first recorded person to swim the English Channel without artificial aids – has melded with the story of Nerval, the French poet, walking ‘Thibault’ his pet lobster in the jardins of the Palais-Royal. The lobster is made using tiny pieces of painted and cut out paper that I have layered up and stuck inside the matchbox. I use various paints and inks in my work but in this case I used acrylic paint and an acid free cartridge paper with an archival PVA to stick the little pieces together. As in many of my pieces, the frame is a deep box frame that I stained up myself.